By Brendan Kelly | March 8, 2011. Shopping in the Liberties could save residents nearly €300 a year. By shopping around locally you could provide the basic food to feed a small family for less than €22 a week. For this price you can buy 18 eggs, four litres of milk, 5kg of rooster potatoes, 2kg of steak mince and two loaves of bread for a total of €21.49. But if shoppers take advantage of using a combination of supermarkets, shops and the Meath Street market they can cut down significantly on what they pay. The same list would cost you €31.71 from Tesco Express, Camden Street, and €26.45 from Dunnes Stores, St Georges Street, if you stuck to just one-store shopping. This is a saving of €4.96 a week or €257.94 a year. Dunnes Stores on St Georges Street had the cheapest bread and steak mince meat. A loaf of Dunnes Stores St Bernard’s bread was priced at just 65 cent. Steak mince meat was €3.99 for 580 grams or two packets for six euro. Catherine’s Bakery, on Meath Street, freshly baked loaves cost €1.95. The best values for money eggs are available from C&N Meats on Meath Street, with a special offer of €1.70 for a tray of 18 eggs. The cheapest milk in the area is on sale Courtney’s shop, Meath Street, costing €1.25 for two litres of milk which surprisingly beat both mainstream supermarkets in the Liberties – Tesco Express and Dunnes Stores, which both price their own brand milk at €1.49 for two litres. Jack Roche Grocers and Norton’s Grocers have the best value for potatoes in the Liberties. 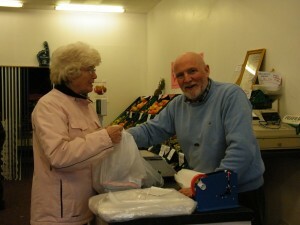 Both grocers have matching special offers of five kg of rooster potatoes for €3.99 or ten kg for €6.99. Tesco Express recently opened on Thomas Street last May, less than a two minute walk from Meath Street. “This had an impact on local business’,” said Jack Roche. The prices listed above were correct on February 24.